Commonly called as ‘turkey neck’, sagging neck is described as the loose skin that hangs down like a turkey wattle. 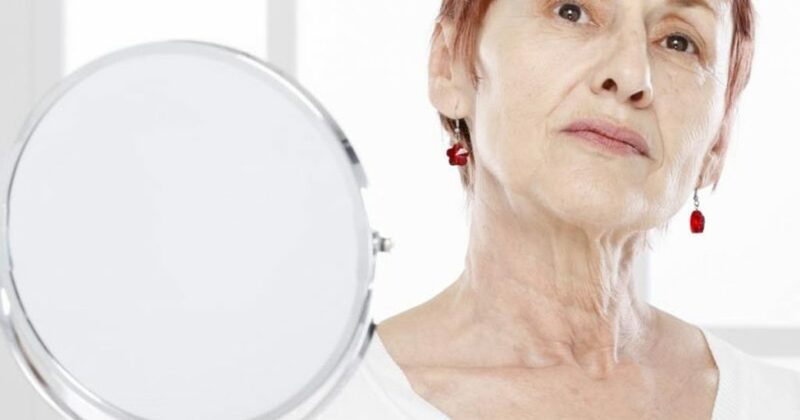 As people age, they become prone to sagging neck because the skin loses its elasticity. In other cases, turkey neck appears when a person loses a lot of weight. The skin around the neck area is more prone to wear and tear from the aging process. It is thinner than the facial skin and has fewer pilosebacious structure (the units that consist of hair follicle, hair shaft and sebaceous gland). It also has different collagen content. The chest and neck area are the two body part that are most exposed to the sun, making them vulnerable to UV radiation damage. While neck exercises may help, it will not cure the condition. If you don’t want to undergo invasive cosmetic surgery to eliminate turkey neck, there are other ways you can try to smoothen your skin. Wrinkle reduction treatment is a popular anti-aging treatment for forehead wrinkles and crow’s feet because of its ability to reduce its appearance. Over the years, Wrinkle reduction treatment specialists have started to administer this product in different areas of the body. One of the common regions is the neck, which brings the term ‘Wrinkle reduction treatment Neck Lift’. The active ingredient of Wrinkle reduction treatment is onabotulinum toxin A. The purified form of the toxin is then injected to the affected muscles. Once administered, it starts to block the nerve receptors, preventing nerve signals from getting into the muscles. After 24 hours, the patient starts to notice the effects. Wrinkle reduction treatment helps relax the muscles and this minimized the appearance of wrinkles and muscle lines. The platysma muscles is the bundle of muscle found in the chest, neck and facial region. As a person age, this specific muscle also changes and this affects the appearance of the neck. Over the course of time, the platysmal bands become visible, forming a V-shape look from the top of the neck to the base. This makes the appearance of that ugly ‘turkey gobbler’ look. Proper administration of Wrinkle reduction treatment can relax the platysmal band and soften a prominent neck band. Wrinkle reduction treatment can only relax the muscles. It cannot pull up a sagging skin or get rid of fat deposits. The best Wrinkle reduction treatment results are often seen on patients with little fat, suffering from thick platysmal bands or have minimal loss of skin elasticity. If you have extensive loose skin, wrinkle and fat deposits in the neck area, better consult your Wrinkle reduction treatment specialist on the improvements that you can obtain from Wrinkle reduction treatment . Wrinkle reduction treatment is certainly less expensive than surgery but the results are temporary and subtle. If you only want to pamper yourself, Wrinkle reduction treatment neck lift may be the best option for you. On one hand, if you are seeking for long-term results, you may opt for other options. Make sure you research the best benefits that can be obtained by a neck lift to see if the results are what you are looking for.